Engaging wine enthusiasts at American Wine Society Friday. 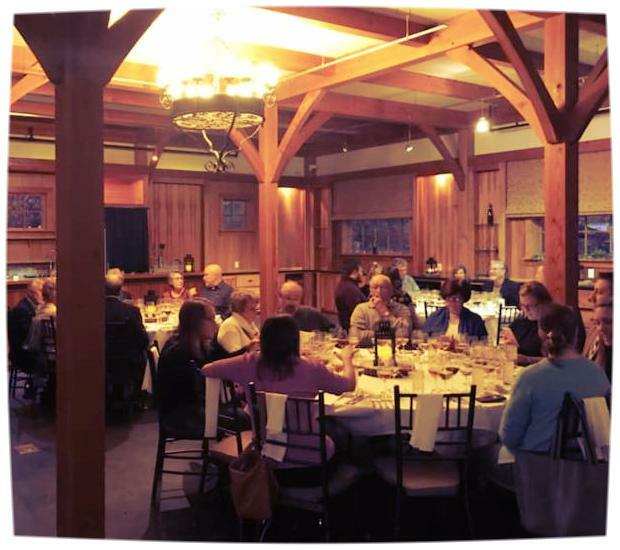 Friday evening, we traveled back to Canandaigua, NY to celebrate our 2018 New York Wine Classic Best of Class winners at New York Kitchen. Sparkling Pointe Vineyards and Winery 2008 Brut Seduction, Sheldrake Point Winery 2017 Dry Rose, Keuka Spring Vineyards 2017 Gewurztraminer, Dr. Konstatin Frank Wine Cellars 2016 Blaufrankisch, and Brotherhood, America's Oldest Winery 2017 Late Harvest Riesling we all paired with a dazzling menu from New York Kitchen. It was wonderful to hear representatives from the wineries share their stories. Their passion, hard work, and determination was obvious as it emanated from them as they introduced their wines. The 2018 New York Wine Classic winners. This is what I love so much about the New York wine industry. The passion, the people, and the product. Growing up in the Rochester area, I have long believed in the quality, and potential of New York State wines. If you’ve ever had the pleasure to meet either of my role models/mentors (Lorraine Hems and Peter Bell,) you know why I fell head over heels in love with New York State wine industry while I was in college and have been an avid advocate and enthusiast of the industry since. Passion about what we can do is the common denominator. As a former wine educator and enthusiast, it is an honor for me to serve the New York wine & grape industry. 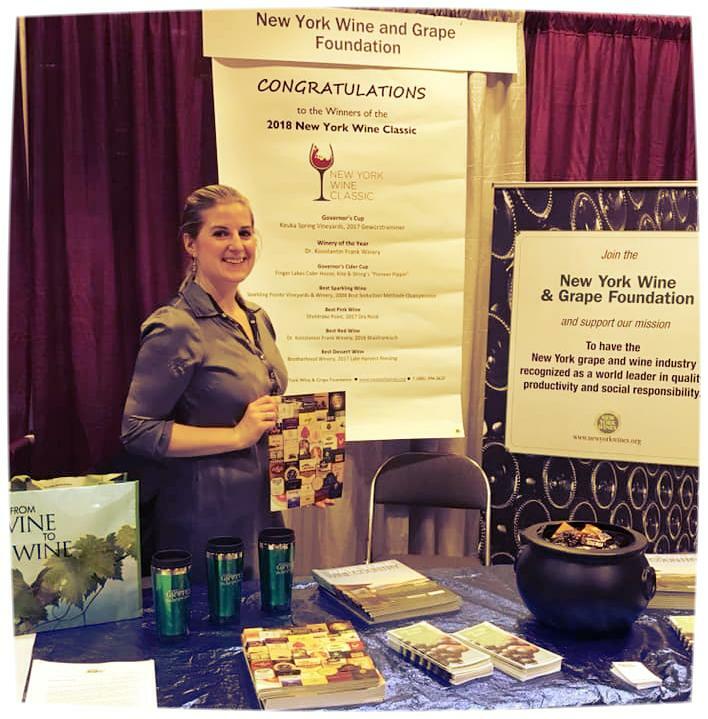 As the Communications Manager, and newest member to the New York Wine & Grape Foundation team, I can tell you the momentum isn’t going to slow down. We are all working at full speed to promote New York State wines at state, national, and international levels. We’re partnering and funding critical research and advancements to share. We’re attending domestic and/or international trade shows every month. We’re expanding NY Drinks NY events across the state. And we’re letting the state government know how critical the wine and grape industry is to the success of the economy. I look forward to meeting as many of you as I can and invite you to share any thoughts with me.